Ian Aitchison is a senior product director at Ivanti, where he works with industry leaders and decision makers to help them embrace strategic IT transformation and the benefits of future technologies. 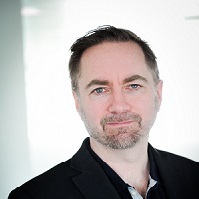 Ian also contributes to the wider service management community, speaking worldwide on subjects around innovation, automation, the future of IT, and artificial intelligence. He has presented at many industry events around the world, including the HDI Annual Conference, Gartner Symposium, Pink Elephant, SDI, SITS, itSMF, SMD, Ivanti Interchange, and more. 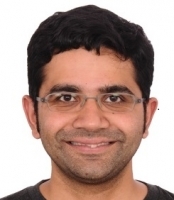 Akshay Anand is a Product Ambassador at AXELOS®, working on the development of new guidance and research within the IT Service Management (ITSM) portfolio. With experience from around the world, including US, UK, and India, he previously advised Fortune 100 clients on how to improve their ITSM capabilities, implemented toolsets such as Remedy and ServiceNow, and headed up global ITSM activities at Macmillan Publishing..
More recently, Akshay has focused on bringing together Agile development teams and ITSM professionals to address challenges posed by emerging technologies and market shifts, and has occasionally been spotted tweeting as @bloreboy. 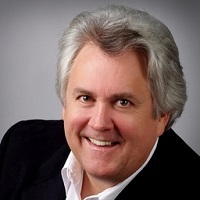 ﻿Roy Atkinson is one of the top influencers in the service and support industry. His blog posts, presentations, research reports, white papers, keynotes, and webinars have gained him an international reputation. In his role as senior writer/analyst, he acts as HDI's in-house subject matter expert, bringing his years of experience to the community. Randy Barr is a seasoned Security and IT veteran with more than 20 years of Information Technology and leadership experience. Randy is the Chief Security Officer at Aryaka Networks and leads the company's Global Security and IT operations. Prior to joining Aryaka, Randy served as the VP and CISO of Saba Software and was responsible for building the company's global security infrastructure from the ground up. Prior to Saba, Randy held several management and key Security and IT positions at leading cloud companies, including ServiceSource, Qualys, Yodlee, and WebEx Communications. Randy is one of the top security officers in the SaaS space and has been selected for three straight years as a "top Security Executive" by ExecRank. 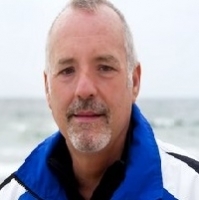 Randy also serves on the advisory boards of several cloud companies. Randy is a frequent speaker at Information Technology and security conferences. Randy holds dual bachelor degrees in Business Administration and Computer Science. Jeff is a well-seasoned IT professional who has focused his career in IT Service Management for more than 25 years. He has served in management capacities for Retail, Manufacturing, Financial Services, Higher Education, and Technology organizations. He is ITIL v3 Certified, HDI Help Desk Manager Certified, and is a certified Administrator of 4 of the leading IT Service Management applications. 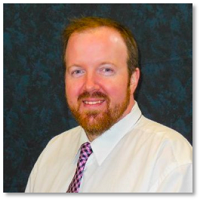 He has been a frequent presenter at ITIL and ITSM focused conferences for more than 15 years. 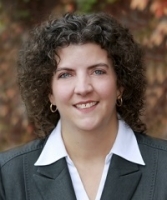 Liz Beckner is a seasoned IT service management consultant, working with Samanage customers for over two years. Her ITSM and ITIL focus supports clients of differing sizes and verticals throughout their implementation, ongoing support and education once they join as Samanage partners. She thrives in speaking with prospective and existing clients on how Samanage can improve their service management strategy, not just within IT but across their organization. Robyn Benincasa is the founder of World Class Teams, a world champion adventure racer, a CNN Hero, former corporate sales expert, and a full time firefighter who advises organizations on building World Class Teams of their own. One of the highest rated female speakers, she regularly shares the stage with world leaders and business icons. Her customers include Fortune companies like Starbucks, Deloitte, Aflac, Fast Company, Boeing, Lockheed Martin, ARAMARK, Siemens, 3M, Coldwell Banker, Ameriprise, Microsoft, AT&T. The New York Times best-selling author of How Winning Works is a resource for all business owners on approaching challenges with a team mentality. Robyn’s 8 Essential Elements of Human Synergy will coach you to the finish line of success. Charles Betz is a principal analyst serving Infrastructure & Operations Professionals; he covers enterprise service management and digital operational excellence. This includes topic areas such as service portfolio management, service catalog, IT asset management, application discovery and dependency mapping, knowledge management, configuration management, and CMDB as well as industry frameworks like ITIL, IT4IT, and COBIT. 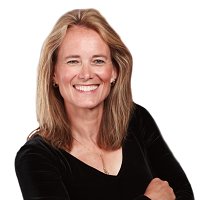 Patti Blackstaffe is the CEO of Strategic Sense Inc., a consulting company that focuses on helping clients build transformation agility through people strategy. A specialist in change and transformation, she focuses on complex technology implementations and changes through M&A. Her years of hands-on experience in the automation industry, international business, and large organizational projects have contributed to the build of people strategy and programs for all her clients. 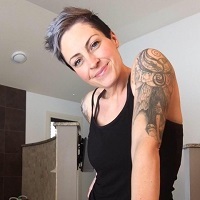 She is an industry advisor for the Business Technology, Management and Analytics Program within the Haskayne School of Business at the University of Calgary, certified in Change Management, and a local volunteer in Calgary. Patti's honors include: Building a consultancy from the ground up and celebrating her 10th year in business, being named in Calgary's Distinctive Women Magazine (2012), nominated twice for the Royal Bank of Canada Women's Entrepreneur Award (2011/2012), Interviewed on Leading Change by Success Magazine (2011), Leadership International included her on their list of World's Top 30 Leadership Gurus (2010) and she was included in a list of 101 Bloggers to Watch by WE Magazine for Women (2009). 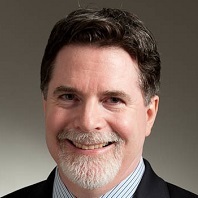 Matthew Burrows serves as managing director of BSMimpact and is active on their professional services team, providing consultancy and training to governments and organizations around the world. 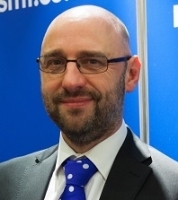 In addition to his experience serving on numerous industry bodies, including itSMF UK, he's an ISO/IEC 20000-qualified consultant and auditor, a SFIA-accredited consultant and trainer, a member of the SFIA Council, and was the Design Authority for SFIA6. Steve Cadigan is a highly sought after speaker and advisor whose international footprint spans from the Harvard Business Review Summit in Leon, Mexico, to a large global event at Google, keynote at Instituto de Empresa’s Annual Alumni Meeting in Madrid, and various private sector events in the U.S., Canada, Spain, and Colombia. The former VP of Talent at both LinkedIn & EA, is co-founder and Head of Digital Transformation at ISDI Digital University. He serves as advisor to fast-growth tech companies like Twitter, Google, Cadence, GoPro in addition to large global companies such as CapitalOne, The BBC, and Deloitte. At Index Ventures he advises portfolio companies on best practices for a range of HR-related topics from the tactics of compensation and stock plans, to strategic issues of managing for hyper-growth and next generation leadership. David is a leader in the fields of IT and service strategy and is currently VP, Consulting Director Serving Infrastructure & Operations. 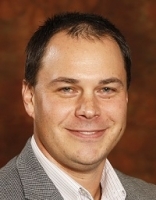 He is the coauthor of the ITIL 2007 service operation book and author of the ITIL 2011 service strategy book. He is a founder and past chairman of itSMF International and past president of itSMF USA. He is also a fellow of service management and double recipient of the itSMF Lifetime Achievement Award. Evan Carlson specializes in driving innovative strategies to address IT’s toughest challenges. He is currently focused on championing the benefits of going beyond the traditional knowledge base by using Self Help to provide better interactions between the customer and support technician. Shannon is on a mission to share the value of Financial Management in the world of IT. Trained as both an accountant and an information systems professional, he has a unique 22 year background which started out in accounting moving to financial and IT systems auditing, IT operations, service delivery and, most recently, executive IT leadership in higher education. As senior director of Administrative and Client Services at UT Dallas, he has managed to survive 3 consecutive years of significant budget cuts by trimming millions of dollars without reducing service levels. He also as an affinity for process re-engineering, technical support operations and IT leadership. 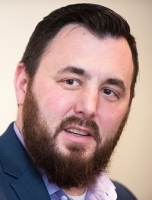 Chris Chagnon is an ITSM Application and Web developer at Worcester Polytechnic Institute (WPI) where he designs, develops, and maintains award winning experiences for managing and carrying out the ITSM Process. Chris has a Master's of Science in Information Technology, and a Bachelor's degree in Visual Communications. In addition, Chris is a PhD Candidate studying Information Systems with a focus on User and Service Experience. As one of HDI's top 25 thought leaders Chris speaks nationally about the future of ITSM, practical applications of artificial intelligence and machine learning, gamification, continual service improvement, and customer / service experience. 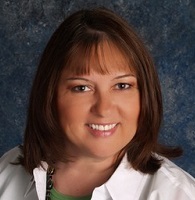 Sandra Choates has worked in Information Technology for 30+ years and is ITIL Foundations certified. In her role as Technology Support Specialist for the Gwinnett County Public Schools Information Management & Technology Division, she has provided assistance with various aspects of IT Service Management including ITIL process implementation (Incident, Problem and Change Management), project management, data metric aggregation, analysis and reporting, along with process and people management. She has helped encourage the various departments within the Division to board the bus and embrace the cultural changes required to ensure success across the Enterprise. Mr. Chopra is a business leader in Information Technology with extensive accomplishments in roles managing agile development in Corporate Application portfolio including ERP apps, B2C functions, IT Service Management, Infrastructure & Security Operations, Business Continuity, Disaster Recovery, Private & Public Could, including managing the Datacenter Facilities. 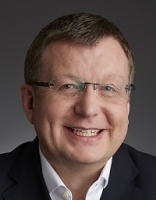 He has successfully led and managed business critical IT functions focused on establishing comprehensive technology strategies, driving digital transformations, while operating 24x7x265 customer-centric Global IT Operations (Network, Compute, Storage, Messaging, Voice and Infra Applications). Mr. Chopra successfully led a variety of M&A initiatives, including integrations, consolidations and building synergies between merging corporations during his tenure @ JPM Chase, NRG Energy & Time Warner). He has led many successful supplier transformations to best satisfy the evolving needs of the business and led global teams made of Senior Directors, Managers, on-site/ off-shore and near-shore model; best suited to the needs of the environment.Implemented programs that yielded multi-million-dollar savings as a result of delivering a level of expense transparency that secured the business ownership required to rationalize and eliminate unnecessary expenses. Rick Clabbers has spent more than twenty years designing and delivering service management in various divisions at Huntington Ingalls Industries. Currently, he is a senior analyst and lead process innovator in the service management program at Newport News Shipbuilding. In this role, he taps his extensive knowledge of service management resources and process frameworks to transform business activities through capacities originally designed to manage IT. Rick’s passion for service improvement is contagious and has spread throughout NNS as other lines of business have adopted service management. J.P. Clementi is a Senior Program Manager at Microsoft. He is currently a member of an engineering team that is responsible for GDPR and Privacy for Azure platform and services. JP is an experienced technical and business program manager with in-depth knowledge in cloud computing, go-to-market strategy, and customer/partner management. He has 15+ years of practical product and business development, as well as partner and customer relationship management, building strategic business plans and delivering innovative solutions. JP holds a bachelor’s and a master’s degree in computer science from Georgia SW State University, and a Strategic Management graduate certificate from Harvard University. 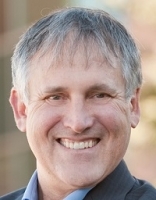 Troy Collings is the Senior Director of Guest Reliability Engineering at Target. He has been at the core of Target’s technology operations transformation focusing on innovations, culture and applying software engineering practices broadly across Target. Troy is a business orientated IT professional with extensive experience connecting people, processes and technologies to deliver business value through collaboration and innovative solutions. He is a forward-looking, enabler who has over 20 years of experience including 15 at one of the largest global companies in the world. While at Cargill, Troy held multiple engineering and leadership roles within its Global Infrastructure and Operations group. Troy graduated from the University of North Dakota with degrees in Accounting and Computer Science. 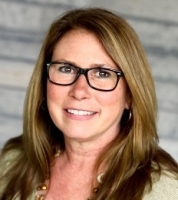 Passionate about customer service, Mary Cruse has thirty years of experience leading teams for Fortune 500 companies in the airline, healthcare, and finance industries. She has extensive experience in leading both technical and nontechnical customer service centers, focusing on process design, technology, customer service delivery, and team building. Mary is currently the chair of the Help Desk Chapters, Inc. board and she serves on the Call Center Industry Advisory Council. John Custy is a services management authority with extensive experience helping organizations improve their services delivery, become more strategic, and increase value. He is an internationally known speaker and educator who challenges us to think differently. John received his MA from Boston University and his BS from the University of Massachusetts at Lowell. In addition, he has earned his ITIL Manager, ITIL Expert, ISO 20000 Consultant, KCS Consultant, and Kepner-Tregoe (KT) certifications. He is also a member of the HDI Faculty and the HDI International Certification Standards Committee. John Custy is the 2015 recipient of the Ron Muns Lifetime Achievement Award and was also recognized as an IT Industry Legend by Cherwell Software. 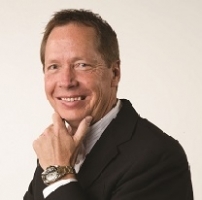 Chuck Darst is a senior product marketing manager at Cherwell Software responsible for market analysis and industry thought leadership content including writing, blogging, and presenting. Chuck has over fifteen years of IT service management software industry experience including asset management, configuration management, governance, and compliance. 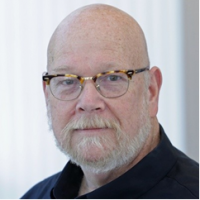 Chuck has over twenty total years of IT operations management software experience spanning roles in product management, product marketing, and business development. Chuck started his career in telecom management and test system engineering where the network was the business. 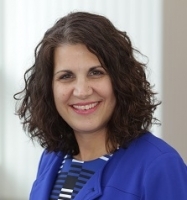 Marie DiRuzza is director of IT service and support at Worcester Polytechnic Institute, where she is responsible for ITSM program management. 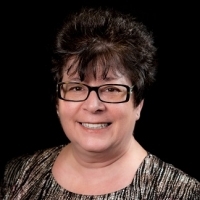 Marie has been a leader in the IT support industry for more than thirteen years, serving as president of the New England local chapter and chairing user groups. She is a certified HDI Help Desk Manager with additional certification in ITIL v3, and she was the recipient of the 2016 HDI Manager of the Year Award. An innovative and focused professional with more than 20 years experience in Business/IT Strategy, IT service management, governance, customer service and support, ITSM tool implementation and team building. ITIL® v3 Expert Accredited ITIL® Trainer, accomplished and experienced speaker and writer on Service Management, Metrics and Service Desk, she's now an ITIL author as well: her book "Service Management Online: Creating a Successful Service Request Catalog" remains popular. She is currently an HDI contributing editor and recently delivered a keynote at the itSMF New Zealand conference. As a well known IT Service Management expert, since 1998, Ms. Dunwoodie's career in the IT industry has progressed from an Application Developer, ITSM Accredited Trainer, an ITIL Examiner, a Senior ITSM Advisor and most recently back into the support, engineering and development world with Shopify. 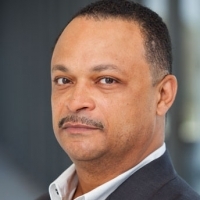 Thierry Fernaine is a Director of Site Reliability Engineering at Target with over 15 years of experience in Infrastructure, Operations, and Software Engineering. Thierry currently leads the production technology in Target’s 1,800+ stores focused around scalability, stability, and reliability of products. He is also responsible for driving innovation within Operations where he recently invented a patent-pending technology. Thierry graduated from New York University with a degree in Electrical Engineering then pursued his Executive MBA at Emory University. Prior to Target, Thierry held multiple engineering and leadership roles in the financial sector, retail, and in the air transport industry. James is a highly regarded ITSM consultant and thought leader, well known for his frequent appearances at conferences and on social media. He has over 25 years of experience in the industry. Chris Gallacher is a principal consultant in Forrester's Business Technology Strategy consulting practice. He focuses on helping organizations develop their service management strategy as well as applying CX principles to IT service delivery. Chris also advises clients around best-practice use of cloud computing, next-generation IT platforms, and automation. He has over 15 years of industry experience, including five years working in consulting roles. Prior to joining Forrester, Chris was a principal consultant in the IT practice of PA Consulting Group, helping clients implement IT service management programs. Chris also spent 10 years at BP in multiple roles within its Global Infrastructure and Operations group. Chris received his Master's in business information technology from Middlesex University in London; he's also a certified ITIL Expert, CISSP, and TBM Executive. 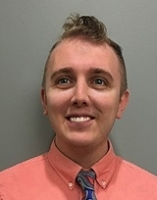 Nathan Gaude managers Direct Services for IT with Elliott Davis, supporting nine helpdesk team members, 900 users, and 250 application across six departments. 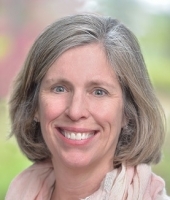 Jayne Groll is co-founder and CEO of the DevOps Institute (DOI). 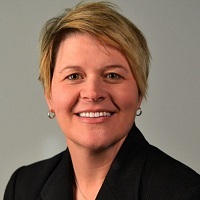 Jayne carries many IT credentials including ITIL Expert™, Certified ScrumMaster, Certified Agile Service Manager, DevOps Foundation and is a Certified Process Design Engineer (CPDE)™ . Her IT management career spans over 25 years of senior IT management roles across a wide range of industries. 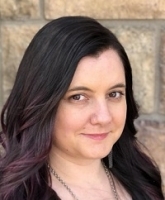 Jayne is very active in the DevOps, ITSM and Agile communities and is the author of the Agile Service Management Guide. She is a frequent presenter at local, national and virtual events. Dr. Hongfei Guo is a Principal Group PM Manager in the Microsoft Azure Core Engineering team, which is responsible for GDPR and privacy for Azure platform and services. Hongfei is a technical and team leader with in-depth knowledge of cloud computing, distributed systems, and database systems. She has 15+ years of practical product experience executing product and process innovation, and her recent achievements include building the Azure Fleet Inventory System, establish a resiliency engineering practice for Azure, and landing Azure DB in China Sovereign Cloud. 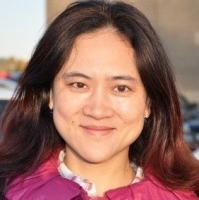 Hongfei received her PhD in database systems from the University of Wisconsin – Madison. Besides computer sciences, Hongfei is also passionate about education, diversity, and inclusion. She’s an active community leader in education, and a board member of the Microsoft Women in Engineering community. 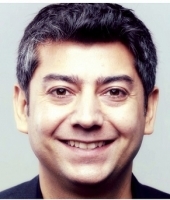 Anurag Gurtu is a successful entrepreneur and an executive in Silicon Valley. Mr. Gurtu currently heads marketing and strategy at Aisera and in the past ran Product Marketing for data science and machine learning division at Splunk (2015 to 2017). Prior to Splunk, Mr. Gurtu headed marketing and strategy at Caspida, the leader in next-generation Cyber Security & Threat detection where he and his team were instrumental in creating a new cyber-security market category called "User Behavioral Analytics (UBA)". Prior to Caspida, Mr. Gurtu headed Technical Marketing & Competitive Intelligence at FireEye (2013-2015) and played a key role in helping the company go public. Before FireEye, Mr. Gurtu spent time at Cisco as an Architect and headed Product Management (2008-2013), Mr. Gurtu lead Cisco's incubation team and received numerous awards as a distinguished speaker and innovator. Mr. Gurtu was instrumental in creating and launching multiple product categories that spanned from virtualization to security. Prior to Cisco, Mr. Gurtu ran Professional Services at nCircle, which was acquired by Tripwire and before was an architect at seed stage startup that was acquired by Sun Microsystem back in 2008. Mr. Gurtu started his career as a researcher at UCLA and worked on 3D modeling to treat Alzheimer back in late 2003. Mr. Gurtu has over fifteen years of experience working on various aspects of technology from 3D modeling, to virtualization and containerization, to security and artificial intelligence. Mr. Gurtu holds numerous certifications including a CISSP. Mr. Gurtu graduated with a M.S degree with specialization in Computer Networks from University of Southern California. Tom is the Senior Vice President of Infrastructure & Operations at Target. 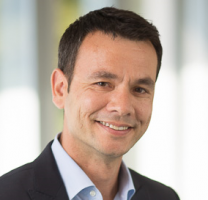 He has been at the heart of Target’s digital transformation. Tom is an IT professional with a powerful combination of technology and business skills and has a wealth of in-store and online IT experience in both mature and growing businesses and markets. Over the past 20 years, Tom has played a number of leadership roles in technology management in the United States, U.K., the Czech Republic and Hungary. Previously he was a principal consultant in the finance sector and was involved in new technology and start-up businesses. During his time at Tesco, Tom displayed clear, forward-looking vision and embedded a culture of innovation into his teams, enabling them to rapidly deploy new technology solutions as well as meet the changing demands of business stakeholders. While managing a large international team, he transformed the siloed, country IT teams into a centralized, global IT Services function. Dr. Mik Kersten spent a decade creating open source developer tools before realizing that programing was not the bottleneck of large-scale software delivery. Since that time, he has been working on creating a new model and tools for connecting the end-to-end software value stream. Prior to founding Tasktop, Mik created the Eclipse Mylyn open source project as part of his PhD in Computer Science, pioneering the integration of development tools with the delivery pipeline. As a research scientist at Xerox PARC, Mik implemented the first aspect-oriented programming tools for AspectJ. Mik is the CEO of Tasktop and loves working with IT and thought leaders on transforming how software is built. Cory Kite is an Associate Director of an Analytics and Reporting team at Penn State University that supports online learners and fosters growth of online learning at World Campus, Penn State's online campus. Cory leads a team of developers and analysts who design and implement interactive dashboards and small applications. Cory believes that in order to achieve wildly important goals you have to be willing to fail, show how much you care about each employee, and celebrate their successes. Cory shares a vision of innovation and employee ownership with his team, enabling them to take risks and be proud of their successes. Cory was also an international road warrior for five years implementing and supporting regulatory asset management software. Working with companies of various sizes has given him the unique perspective of core company processes, what works well, and maybe not so well. Cory holds a BS in Information Sciences and Technology from Penn State University. Donna has more than 30 years of experience in the IT industry and is currently ITSM Academy's Curriculum Development Manager. Donna's years of practical experience and love of learning show in her engaging and informative speaking style and many certifications including: ITIL Expert, Certified Process Design Engineer, DevOps Foundation, Certified Scrum Master, Certified Agile Service Manager, Certified Agile Process Owner and VeriSM Foundation. Donna is the author of The ITSM Process Design Guide: Developing, Reengineering, and Improving IT Service Management, as well as two college textbooks, A Guide to Service Desk Concepts, Fourth Edition and A Guide to Customer Service Skills for Service Desk Professionals, Fourth Edition. Donna is also on the DevOps Institute's Board of Regents. Letts is the senior service desk manager at Chick-fil-A. With more than twenty-one years of success in casting vision, developing actionable strategic plans, and re-engineering business processes, Tony is passionate about the customer service industry. He holds several HDI certifications including HDI Support Center Director and KCS Foundations, and is a certified KCS Coach. 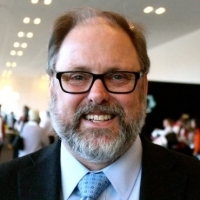 David Mainville, CEO and co-founder of Navvia, is a passionate advocate of Service Management and a frequent presenter, blogger and well known member of the ITSM community. With over 38 years of experience, David has held progressively senior technical and management roles allowing him to "connect the dots" between the Business and IT. At Navvia, David leads the charge to bring innovative ITSM solutions to market focusing on Product Development, Marketing and Operations. Stephen Mann is principal and content director at the ITSM-focused industry analyst firm ITSM.tools. He is also an independent IT and IT service management marketing content creator and a frequent blogger, writer, and presenter on the challenges and opportunities for IT service management professionals. Stephen previously held positions in IT research and analysis (at IT industry analyst firms Ovum and Forrester and the UK Post Office), IT service management consultancy, enterprise IT service desk and IT service management, and IT asset management. Peter McGarahan is Senior Director of IT for First American and an industry expert and thought leader in global IT Service Management. 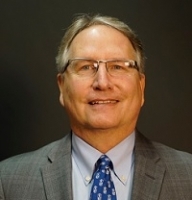 He is also the founder of McGarahan & Associates and offers 30 years of business, IT, and service leadership experience. He enjoys sharing his lessons learned and career experiences through published articles and presenting at industry conferences. He has received various industry awards and honors, including the Help Desk Institute's Team Excellence Award for his work with the Taco Bell support organization, the "Top 25 Professionals in the Service and Support Industry" from IT Support News, and "The Legend of the Year" (twice) at the STI Knowledge Symposium and Help Desk Professionals conference. 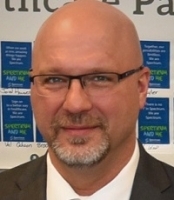 Sam Miller is the service delivery manager for Spectrum Healthcare Partners, a multipractice specialty group in Maine. Sam started his career in the US Marine Corps, and he has more than 15 years of experience in healthcare IT, more than 20 in IT overall. Fancy Mills has more than twenty years of experience specializing in consulting, training, and human resource development. 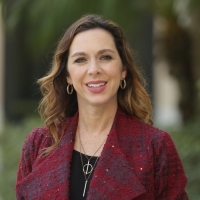 As the current Director of Training and Content for ICMI and HDI, her focus is working with support centers and contact centers across various industries to optimize their performance. As a former consultant and HDI Business Associate, she's certified thousands of service and support directors, managers, analysts, technicians, and corporate trainers around the world in virtual and classroom environments. In addition to training, she has developed and facilitated customized curriculum and consulted for Fortune 500 companies in the areas of process improvement, customer experience, quality management, workforce management, presentation, communication, and time management skills. Fancy has also served as a session and keynote speaker for various industry conferences and events. While at HDI, she served as a chair for International Certification Standard Committees, served on certification testing committees, conference committees, as well as published articles for SupportWorld. Fancy received her MS in human resource development with a specialization in adult education from Texas A&M University. She is a published author on generational conflict strategies, was featured in the 2018 publication "Cultural Impact on Conflict Management in Higher Education," and was a featured speaker at the 2016 TEDx TAMU, speaking on "The XYZ Strategies for Succeeding in a Multi-Generational World." She served on the Texas A&M Graduate Advisory Board and the steering committee for The Academy for Future Faculty, and was awarded the 2016 AFF Senior Fellow. She was selected to serve as a Texas A&M Student Representative Commencement speaker for December 2017 graduation ceremonies. A fifth-generation Texan, she lives in Austin with her husband Kevin, son Mills, and their cat, Sparky. She's an avid sports fan and enjoys rooting for the Texas A&M Aggies and all Dallas sports teams. Her favorite team is anyone that her son is playing on! Theresa Moore has worked in Information Technology and Customer Service for 30+ years. She holds a MBA from Pepperdine University, along with PMP and ITIL Foundations certifications. 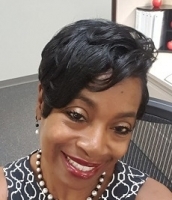 In her role as Customer Service & Support Manager for the Gwinnett County Public Schools Information Management & Technology Division, she is responsible for IT Service Management process implementation including Incident, Problem and Change Management. She has accepted the challenge of driving the bus to affect the organizational change required within the Division to make Service Management work. Alan is an expert defining, creating and implementing the Next Normal in technology management. He has been a thought leader for many years. From the moment he helped to build ITIL, shaped the concept of Transformational Outsourcing to his current innovations around Consumption Based Public Cloud, Digital Platforms enabling Digital Ecosystems, and Precision-guided Transition Strategies that accelerate the ‘flow to business outcome’ of large transformation programs. He is a big proponent of multi-disciplinary teams working together to separate the signal from the noise, allowing joined-up thinking throughout an enterprise. Alan brings together his experience leading change at HP, ING, and Royal Philips, to present a compelling story about the disruption that is right around the corner for both your business and your operating models and what you can do about it. A qualified accountant and MBA, Martin stumbled into IT Management over 20 years ago and has not yet found a way out. When his boss gave him a leaflet about ITIL in 2001 he finally realised that there was a name for what he'd been doing all along and that there were other people who agreed with him - it was like coming home. 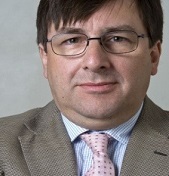 Since then he has been active in the UK and Europe Service Management Community and is currently Vice Chair of itSMF UK. In his day job he is a Consultant for Tata Consultancy Services, specialising in Operational Excellence and SIAM implementations. He was also a reviewer and contributing author to the SIAM Professional Body of Knowledge published this year. Not coming from a technical background, Martin is deeply suspicious of technology, firmly believes that people are what makes the difference and that the customer is the most important thing, but they are not always right (but nor is he). This is Martin's first visit to the US in any form and he is extremely excited to be part of Service Management World. 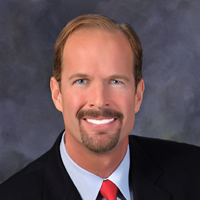 Mr. Norton is President and Chief Executive Officer of mPower Technologies, Inc. Prior to founding mPower Technologies, Mr. Norton served as VP of Digital Technology for Barnes & Noble, Inc, and prior as VP of Global Ecommerce for Toys R Us. Immediately prior to these engagements Mr. Norton co-founded and served for 14 years as President of Avenet Web Solutions, which created and deployed a proprietary content management system and ecommerce solutions used by more than 1400 local governments and more than 800 non-profit and for profit entities throughout the US and Canada. Before Avenet, he served for the United States Departments of Labor, Education, Treasury and the Office of Management and Budget. He has held a variety of technology and policy development positions over the past 30 years, including CIO of the Minnesota Department of Human Services, General Counsel to the Minnesota World Trade Center Corporation, Assistant Attorney General for the State of Minnesota, Committee Administrator for the Minnesota Senate Committee on Governmental Operations and Clerk to the Hon. Ester M. Tomljanovich. He is a graduate of Hamline University and the University of Minnesota Law School. For over thirty years, Anthony has worked in various IT strategy, managerial, consulting, executive advisory, marketing, and technical positions. Anthony is an author of the ITIL v3 2011 publications and the ITIL MALC exam book, as well as a Sr. Examiner for the ITIL v2, v3 and Cyber-Resilience certification examinations. He has published numerous podcasts, videos, booklets, white papers and articles. Anthony is also a frequent speaker at ITSM industry events and universities globally . 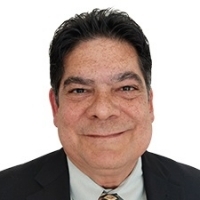 A highly-experienced and well-informed ITSM professional, Axios Systems’ Senior ITSM Consultant; Ed Perez, has over 20 years of experience in IT Service Management. With experience ranging from planning to designing IT solutions, Ed focuses on utilizing industry best practices to solve business challenges using ITSM and IT Operations Management technology. Session: Breakfast Briefing 1: How Does ITIL Embrace Cloud & DevOps Adoption? Joni Per-Lee has been with Chick-fil-A for thirteen years and provided financial consulting services to Operators for the first nine years. She left that role in 2015 to lead a project to consolidate the multiple restaurant-facing helplines across Chick-fil-A. She is now the Senior Director of Chick-fil- A HELP, the contact center that supports Chick-fil-A Operators and team members. 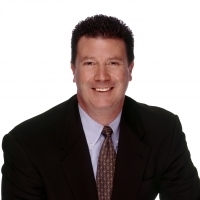 Doug Rabold is founder of Bold Ray Consulting. He has extensive experience in service management, IT operations, sales, employee development, and employee engagement. A lifelong learner, Doug is a Lean Six Sigma Yellow Belt and holds many other industry certifications, including ITIL Foundations, HDI Problem Management Provessional, HDI Technical Support Professional, HDI Support Center Manager, and Knowledge-Centered Support Principles. He was a finalist for the 2018 HDI Manager of the Year Award and the People's Choice Award winner that same year. He's currently serving as a national officer on the Help Desk Chapters, Inc. board and as a member of the Cherwell Customer Advisory Board. Barclay Rae is Director of ITSMF UK, a director of EssentialSM. 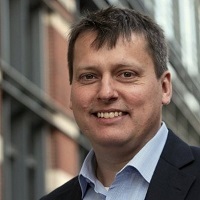 He has worked on approximately 500 ITSM projects over the last 25 years, and currently delivers strategic ITSM consultancy, as well as media analyst services to the ITSM industry. 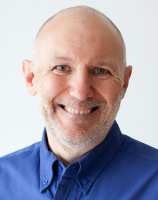 He is an ITIL Lead Architect and a co-architect of the ITIL Practitioner scheme with Axelos, and co-author of the SDI certification standards and the current ISO/IEC 20000 revision. hought Leaders in Technical Support and Service Management, 2017 and 2018, and ‘ITSM Contributor of the year’ in 2014 at the SITS show. Barclay has created ‘ITSMGoodness’ – a set of practical steps and guidelines – simple practical and proven tips and tools – for successful ITSM. Visit www.itsmgoodness.com for details and free to air access – join the Twitter conversation at #ITSMGoodness and follow Barclay at @barclayrae. Anand Rajaram is the Product Lead for Prompt ai, LogMeIn's offering focused on Employee Self Service and Support. As Product Lead, he is responsible for the shaping the vision, Product strategy, and overall direction for Prompt ai. Prior to LogMeIn, Anand served as the Director of Products at HubSpot, and co-founded OfficeDrop, a cloud storage solution for paper-intensive small and medium businesses. Come say hi to him in person, or @anandrajaram on LinkedIn and Twitter. In IT service management for over twenty years educating and advising organizations all over the US and Europe. She began her career in radiology software where she quickly realized her love for training. Her dynamic, interactive style of teaching has brought accolades from every level of IT. 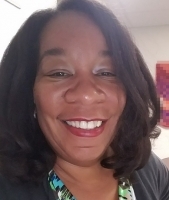 After gaining her ITIL v3 Expert certification she has worked with many different organizations from higher education and healthcare to government and retail organizations helping guide the design and implementation of best practices that enabled these organizations to meet and exceed their business goals. Throughout her career she has helped certify thousands of professionals in achieving their ITIL foundation and practitioner’s certifications. Jeff Rumburg is the winner of the 2014 Ron Muns Lifetime Achievement Award. As cofounder and CEO of MetricNet, Jeff has been retained as an IT service and support expert by some of the world's largest corporations, including American Express, Hewlett-Packard, General Motors, and IBM. He was formerly CEO of the Verity Group, where he syndicated the industry's first service desk benchmark. Jeff received his MBA from Harvard University. 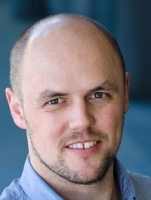 Patrick Schwerdtfeger is a nationally recognized professional speaker best known for his tactical and energizing keynotes about technology and digital marketing. 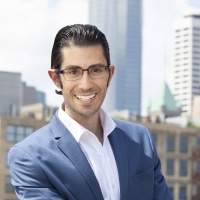 Patrick is a futurist, specializing in technology trends, and the founder of Trend Mastery Inc.. He hosts Strategic Business Insights, a video blog which has over 20,000 subscribers and four million views on YouTube. Patrick works as an independent business analyst, following technology trends and sharing his insights with clients around the world. His most recent book Anarchy, Inc.: Profiting in a Decentralized World with Artificial Intelligence and Blockchain is a hot button read for tech insiders, and service and support professionals alike. Rudy Seber is a senior consultant in Forrester's Business Technology Strategy consulting practice, where he works with infrastructure, business technology, and security & risk leaders to build and optimize their practices – helping clients align technology to meet business goals. Prior to joining Forrester, Rudy spent 10 years as a business technology specialist at Boston University. In that role, he was responsible for infrastructure and operations of the Global Programs division, including DevOps, service management, process management, identity and access management, data centers, database development, and asset management. 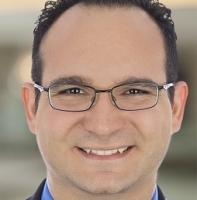 Rudy received his MBA from Boston University; he also holds his ITIL v3 Foundation certification and is a Certified Information Systems Security Professional (CISSP). 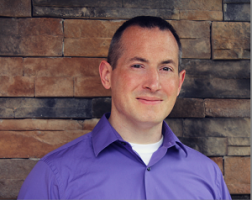 As the Director of Innovation and User Experience for Hologic, Inc. Brad is responsible for the delivery and support of the company’s innovative IT projects, collaboration tools and web development. He has 15+ years of IT experience, more than 10 of which have been with Hologic. Brad has implemented and supported several large business solutions and enterprise applications during that time and chairs Hologic's Mobile Strategy Steering Committee and both the Mobile and User Experience Centers of Excellence. He holds a B.S. in Information Systems from Saint Joseph’s University and a M.S. in Strategic Innovation and Change Management from the University of Denver. Randy Steinberg has over 25 years of hands-on enterprise service management and operations experience at large-scale health, financial and governmental clients around the world. He has helped enterprise class organizations and hosting companies to deliver excellent services to their customers, through a rich understanding of organizational planning, cloud datacenter best practices and service management. He was a Global Head of Service Management for a worldwide media company with 176 operating centers around the globe. He has led several major service and datacenter transformation projects for government and Fortune 100 IT organizations crossing implementation of management solutions, disaster recovery, availability, organizational, governance, and Cloud infrastructure changes. Some of these have won ITSM project of the year and Malcolm Baldrige awards. Randy is also the author of ITIL Service Operation 2011 Edition and recently the new VerISM (Service Management for the digital age) book. He has authored many other books on implementation, measurement, and systems and process architecture. Randy has been a frequent speaker at industry conferences around the world. Session 403: Digital Transformation Means Losing Control: Can You Handle It? 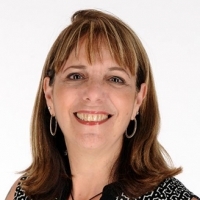 Diana Tullio is the principal of CC&C Americas, a leading provider of enterprise architecture certification training and technology strategy consulting. Prior to that, she spend 23 years with NCR, arising to the role of chief of staff to the CIO, where she was responsible for portfolio management, IT budget planning and tracking, strategy and architecture, software quality assurance, continuous improvement, and captive offshore development management. She went on to serve as the CIO for Standard Register/Taylor Communications in Dayton, OH. In 2015, Diana was recognized with the inaugural IT Hero Award presented by InformationWeek and Interop. Diana received her MBA in global management from the University of Phoenix and her BS in computer science from the University of Georgia. 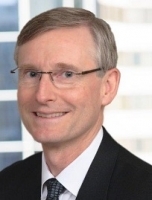 Ken Wendle, known for his pragmatic and insightful advice, whether as instructor, consultant, or speaker,and is past member of the HDI Strategic Advisory Board and current member of the SMW Advisory Board. Ken is recognized for his pivotal role in creating awareness, adoption, and global expansion of ITIL and ITSM best practices. He is the author of numerous white papers and articles, and his entertaining presentations have been a enjoyed nationally and internationally. Ken is also the only person (thus far) to have received two prestigious industry awards: the itSMF USA Lifetime Achievement Award (2007) as well as the HDI Ron Muns Lifetime Achievement Award (2016). Peter Zeinoun is the Product Lead for CES' Remote Support Suite of products, including Rescue, GoToAssist and GoToAssist Corporate. He is responsible for shaping the vision, product strategy, messaging and overall direction of the product suite, which focuses on providing technicians with an elegant, reliable, cloud-based application for delivering world-class customer service and remote support. Peter has been a part of LogMeIn for 6 years and prior to LogMeIn, Peter managed and designed various enterprise level e-discovery products for Recommind, Inc. Peter holds a B.A. in Computer Science and an M.B.A. from Boston College as well as a Masters in Information Systems Management from Carnegie Mellon University.